We believe Inner Range Training Centre to be the first Australian Security Manufacturer to introduce a complete, competency based training strategy for its products. The Inner Range Training Centre now offers a comprehensive range of training courses and modules to actively raise the levels of skill, knowledge and professionalism in the Security Electronics Industry. This type of training pays dividends to all concerned. The course is presented online and is instructor-lead, meaning that there will be an Inner Range trainer on hand to assist you along the way. Each certified technician receives their own personalised Integriti Certified Technician certificate and ID card. 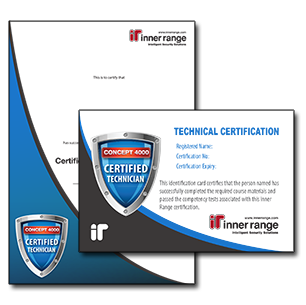 Each certified technician receives their own personalised Integriti Advanced Technician certificate and ID card. Training is not a requirement to purchase or install the Inception product, with the Commissioning Checklist and the detailed onscreen help hopefully able to guide a new technician through his first use of the product. However, for those wanting extra information, self-paced online training is available via the Inner Range website; all that is needed is an Inner Range web account. Training takes a look at the controller, LAN modules (including wiring information) and accessories, along with connectivity and installation information to get up and running. From there, a detailed programming scenario is worked through, resulting in a fully configured system. The course is presented online and is instructor-led, meaning that there will be an Inner Range trainer on hand to assist you along the way. 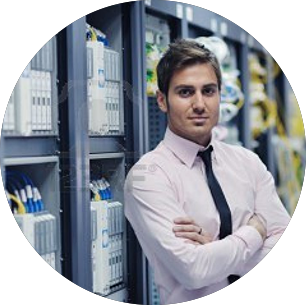 Each certified technician receives their own personalised Concept Certified Technician certificate and ID card. Each certified technician receives their own personalised Concept Advanced Technician certificate and ID card. 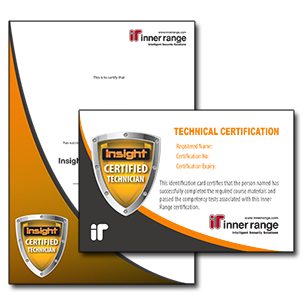 Each certified technician receives their own personalised Advanced Insight Technician certificate and ID card. Inner Range Certifications are valid for 3 years. Upon expiry, a recertification test will need to be performed so as to extend a certification for a further 3 years. The recertification test can be performed face to face with one of our certified trainers, or performed online via our training website. Both methods are simple and fast, requiring only a couple of hours of your time. Online recertifications may be performed from the comfort of your home or office. All that is required is an internet connection and access to a PC with a version of Insight installed. Once you begin your recertification, you will be presented with a multiple choice quiz as well as a practical programming scenario. These tests can be performed over a number of weeks giving you to opportunity to research as well as save and review your answer before submitting. To discuss your training requirements or find out more about training in your local region please use the regional contacts.